The life surely turns topsy-turvy, if the soul in not at peace! Are you looking to take a Pilgrimage Tour? Goodwill Holidays is a tour operating company located in New Delhi and provides Pilgrimage Tours in India, Dubai, Singapore, Malaysia, Nepal and Mauritius. 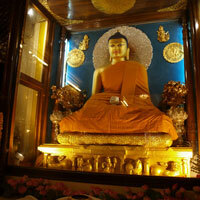 During the tours you can visit all the holy shrines. Whether you want to take the holy expedition for some specific purpose like to take almightyâ��s blessings or for votive prayers or want to organize some event at the place; take a tour with us! We also offer trekking and helicopter tours to various holy places, and the senior citizens can also take tours with us heedlessly.